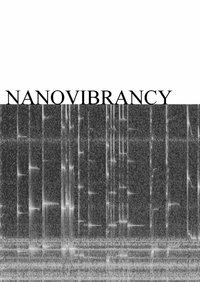 Nanovibrancy explores nanoscale activity through sound by amplifying the oscillations at the surface of a model tympanic membrane in real time. The culmination of his Masters in Biological Art degree, Joel Ong will present a sound piece which repurposes the Atomic Force Microscope as a super‐sensitive listening device. The AFM listens by scanning the surface vibrations on a silk membrane. The sample, currently researched in otology as a graft material for chronic eardrum perforations, is probed in extension of its research value, creating an audible documentation of cellular activity in situ. Moving from the laboratory into the art gallery, the project shifts the observations of matter at the nanoscale from the scientific eye to the artistic ear, amplifying the resonances of fact and fiction, purity and interference through a site‐specific confluence of nano‐ and human‐scale listening. In so doing, Nanovibrancy asks; "what is the experience of listening at the nanoscale?" Visitors acquire a first‐hand experience of the vibrancy of matter at its smallest perspectival scale. Nanovibrancy is an ArtScience project realised at SymbioticA, the Centre of Excellence in Biological Arts, Anatomy and Human Biology at the University of Western Australia and has the generous support of the Ear Science Institute of Australia, the Nanochemistry Research Institute and the John Curtin Gallery at Curtin University. 2 exclusive interviews coming soon!